It was a photo that anyone might have taken. In the years leading to Sept. 11, 2001, Americans took to the skies like never before, numbering in the millions, taking in the bird's-eye view above the clouds. Katie Weisberger, a freshman in the photography program at New York University, was flying back from her home in Richmond, Virginia. She had a Nikon 35 mm film camera at the ready when the twin towers came into view. Weisberger has always loved seeing the world through a lens. School reinforced that habit, sharpened her eye. What particularly prompted her to take roll after roll from her window seat was an utterly lovely April day dawning in New York. "It was very early morning, and I just remember it being really beautiful, watching the sun rise and taking photographs," Weisberger recalls. "I had no idea I took that photo. It was on the negative." That photo — developed at a drugstore or photo lab — was a horizon shot, layers of blue sky streaked with a barely perceptible reddish haze and oceans of roiling clouds that submerged all of New York except for the twin towers. That one heartbreakingly glorious moment stood out, between a picture just of clouds and another of the entire city. Then, she stowed the prints away. She would pull them out five months later. Weisberger, who spent the summer waitressing in Boston, was beginning her sophomore year at NYU, in the Department of Photography and Imaging. "I was getting ready for school. It was maybe my second day of class," she recalls. Her dormitory was located southwest in the Village, close to the World Trade Center. When she and her boyfriend at the time, Ryan, walked outside, they looked up and right through a hole burning in one of the towers. "We kept walking and didn't know what to make of it," she says. They continued on, stopping on Sixth Avenue for orange juice and a bagel. There, they saw the second plane hit. "Crowds of people just stopped in their tracks. And at that moment, I realized that it was terrorists." Shell-shocked, she and her boyfriend -- who was booked on a flight later that day -- said goodbye, and she headed to her first day of dance class. For two surreal hours, the teacher taught the fully attended class as if nothing had happened. As if two hijacked Boeing 767s hadn't crashed into one of New York's greatest landmarks just blocks away. At the end of class, a woman came in, announcing, "'The towers have fallen. I don't know if you know what happened.'" Weisberger didn't have her camera equipment on her, not for dance class, but she didn't take photos that day, nor much at all after 9/11. There were too many others documenting the devastation, capturing bits and pieces of the unfathomable. 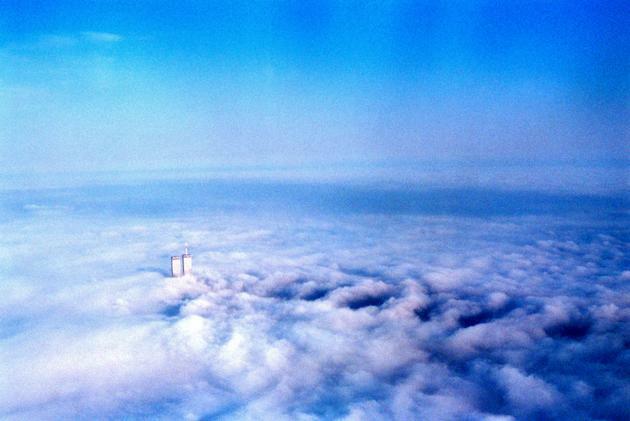 Interestingly, the best-selling image from the exhibition (the proceeds from the photos, which were selected by interested buyers without at first knowing who made the image, went to charity) was by Katie Day Weisberger, a student who had, a few months before the attacks, photographed the World Trade Center towers emerging from the clouds while seated in a passing airplane. In "Falling Man," postmodern master Don DeLillo takes on the strange disconnect experienced by many Americans following 9/11. The cover photo reflects that with the eerie view from above the clouds, as if from the point of view of a ghost. The vertical drop of the "A Novel" text emphasizes the book's title, based on the name given to a performance artist that appears from time to time in the book, a mysterious man that reenacts the disturbing image taken of a suicide jumper on the day of the World Trade Center attacks. 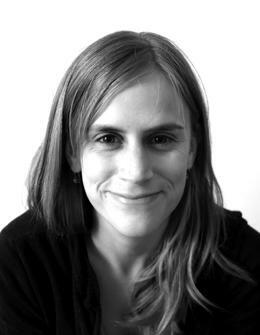 Weisberger, the mother of a 2-year-old, now lives in Colorado and works as a freelance photographer. She can understand how a photo taken with such a young, hopeful spirit could be viewed as eerie in the light of 9/11. She has always been drawn to skies as an artistic theme ("I appreciate the simplicity, openness and the beauty ... [their] potentiality"), but Weisberger can't shake the unease that an idyllic day can cause. "Every time I see a perfectly clear sky," she admits, "there's a feeling of 'the air's too clean and the weather's too perfect to believe.' I think of Sept. 11." But the clarity of that lovely April day, the quality of that sunlight, the "childlike quality of, I don't know, wanting to experience something by way of camera," still stand out. "There has obviously been so much violence and politicking as a result of Sept. 11, and pertaining to the events of that day," Weisberger states. "I think it's important to be able to take a step back and see that regardless of everything that happened following that day and how one might feel about what has happened, there was a day 10 years ago during which a terrible thing happened that touched all of our hearts very deeply. I hope that my photograph helps people recall the heartbreaking simplicity of that fact, and at the same time the inherent beauty of life." Other details have become a hazier in the intervening years. She can't remember the airline she was on when she took the photo, although surely she wouldn't have needed to take off her shoes or measure her carry-on liquids in ounces in order to get through security. She thinks she was coming from her home in Richmond, Virginia -- she could've hugged her parents goodbye at the boarding gate, before security fears did away with prolonging farewells until the last possible moment, before boarding. She can't remember the flight she took in the days following 9/11, perhaps surrounded by seats left empty by Americans who had lost their faith in the skies. Yet 10 years later, she also remembers how New Yorkers came together. "The most memorably and meaningful part of Sept. 11 was the obvious and immediate care that every single person in Manhattan --you know throughout the U.S. and the world, but more specifically Manhattan -- took of each other," Weisberger says. She remembers buying breakfast for people forced out of their homes by the blast and living in her dorm. How her boyfriend stood in line for five hours to give blood, only to be turned away because so much had been donated. And how New Yorkers stood together, cheering on the workers who brought up the rubble from the towers. "I'll remember that in times of crisis, goodness does come out." That also is the legacy of Katie Weisberger's chance shot, No. 1621.